The Church taught that prayers could help save souls and also that they could be farmed out to holy men ― for a price. This gave the pope the leverage to acquire a quarter of the land in England, for the prayers of the clerics were seen as indispensible for king and country. Even William the Conqueror begs the pope: “Pray for us, and for the well-being of our realm”. Here is a short, revealing excerpt from Professor Terry Jones. It is well known that throughout its history the Church has profited from bequests in order to obtain vast tracts of land. This was especially true in times of crisis, such as the Black Death when, as a survivor wrote, "so many died that all believed it was the end of the world". Less well known is that long before this, the Church increased its holdings by getting kings and nobles to endow religious orders on the understanding that the monks would offer prayers. The Church taught that these appeals to various inhabitants of heaven were essential for this life and the next — and accumulated wealth and land in the process. Later some of the Church lands were confiscated by various states. For this, the Catholic Church has demanded compensation which can far exceed the value of the land originally taken. 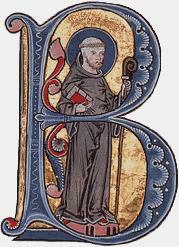 William “the Pious” of Aquitaine gave the abbey of Cluny his hunting forest, along with the remarkable privilege of releasing the house from all future obligation to him and his family, other than prayer. This ensured that no feudal overlord could ever install his own chap as abbot and divert the prayers from William's soul. The Cluniacs showed what could be amassed from a brisk trade in prayers, if the monks were freed of feudal dues and kept the profits for themselves. Pope Gregory VII, a Cluniac himself, brought the new business model to Rome. For his complete strategy, see his internal memo of 1075. BBC Books, 2004, pp. 91-92. Strange though it may seem, the activities of the monks — cloistered and cut off from the world though they may have been — were regarded as an essential backup to the Norman military machine. The problem goes back to that inconvenient Commandment: ‘Thou shalt not kill’. And just because you were having a war was no excuse. This was a bit awkward if you happened to be a fighting man, professionally engaged in breaking that commandment in particular (amongst many others). Like most people, however, warriors had every confidence in the power of prayer. They were also convinced that the purer and simpler a person’s life was, the more likely God was to listen favourably to them. Since monks were supposed to live the purest and simplest of lives their prayers were seen as a hotline to God, and they provided an essential service for the Norman armies — saving warriors’ souls once the fighting was over. The soul of a tenth-or-eleventh-century fighting man would not be easy to save. It required the strenuous effort of a significant number of monks to pray him out of damnation. Homicide in a public war, even at the command of a legitimate ruler, required doing penance for 40 days and abstention from church. William the Conqueror [bore] overall responsibility for some 10,000 deaths […]. After the Battle of Hastings each Norman soldier was told to do 120 days’ penance for every man he had killed, which would have created even greater problems. But, of course, the Church was ever willing to subcontract the work, at a price. If William’s penance was split among a couple of hundred monks, his soul could be cleansed in less than six years. He founded an abbey at the site of the battle. He founded another at Barking in Essex; and another at Selby in Yorkshire (he had to kill a lot of people in Yorkshire). And he and his wife and sons, perhaps feeling insecure, gave a great deal more money and land to a great many other churches and abbeys. Editor’s note: In a modern form this practice is still maintained: “Short on Priests, U.S. Catholics Outsource Prayers to Indian Clergy”, New York Times, 13 June 2004.